St. Dominic (1170 -1221) founder of the Dominicans (Order of Preachers) was a joyful friar. Wherever he went, he conveyed an enthusiasm for the Gospel. People found him inviting because he offered them hope and encouragement. Dominic shared his intense desire to know God more deeply, and his own devotion to prayer and study gave witness to God’s love. 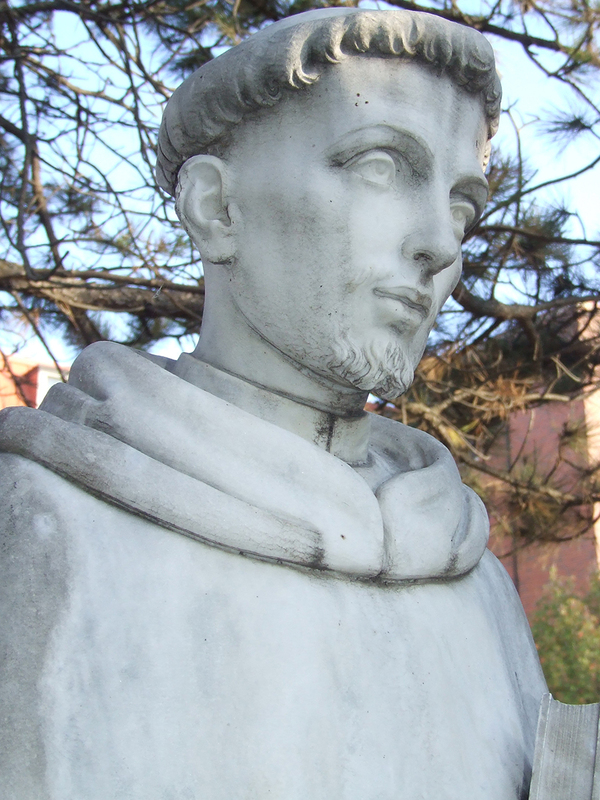 Dominic had a vision that the Gospel of Jesus Christ would be shared and preached by those who want to respond to the needs of the world around them. He formed communities of women and men who had a love of God and a desire for service. The community would itself be a preaching, a word of encouragement, a word of compassion to the world around it. In every generation since then, others have followed this same path and so Dominic’s charism is a living tradition. His feast day is August 8. St. Thomas Aquinas (1227-1274) is the patron saint of Catholic schools and universities and the preeminent voice in the Catholic tradition of reason and divine revelation. He is one of the great teachers of the medieval Catholic Church, and father of Thomistic Theology. He wrote extensively on the unity, harmony and continuity of faith and reason. One might expect Thomas, as a man of the Gospel, to be an ardent defender of revealed Truth, but he was broad enough, deep enough, to see the whole natural order as coming from God the Creator. He saw reason as a divine gift to be highly cherished. His feast day is January 28.
Who is Catherine of Siena? Originally named Caterina Benincasa, she was the 24th child born into her family in Siena, Italy, in 1347. She later became a lay member of the Dominican Order. Catherine cared for terminally ill patients, ministered to those on death row and provided spiritual direction to men and women in search of God. Though she lacked formal education, she is known for her many letters sent to men and women of all walks of life. 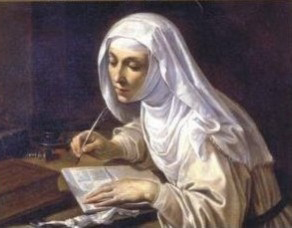 The letters, filled with wisdom and spiritual guidance, were the fruit of her own relationship with God. Catherine is best remembered for “The Dialogue,” which contains the intimate conversations or prayers that she and God shared with each other. Catherine died in 1380 at age 33. Her feast day is April 29. For an interesting interpretation of Catherine’s life follow Sr. Nancy Murray’s webpage. Who is Martin de Porres? Martin de Porres (1579 –1639) was a lay brother of the Dominican Order. He is the patron saint of mixed-race people, since his father was a Spaniard and his mother a freed slave, native of Panama. He is a special inspiration to all those seeking interracial harmony. He lived in Lima, Peru, and was noted for work on behalf of the poor, establishing an orphanage and a children’s hospital. His kindness to the poor and sick was well known and he was particularly noted for his healing ministry. Martin de Porres is often depicted as a young mulatto friar wearing the old habit of the Dominican lay brother, a black scapular, along with a broom, since he considered all work to be sacred no matter how menial. He is sometimes shown with a dog, a cat and a mouse eating in peace from the same dish. His feast day is November 3.